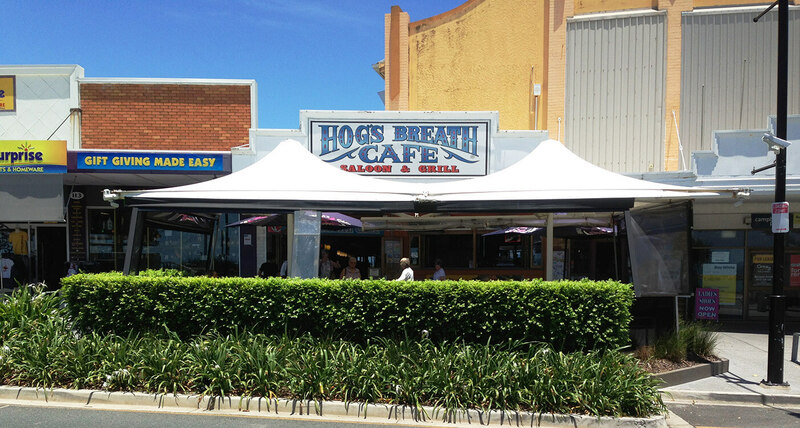 Welcome to Hog’s Breath Cafe Redcliffe! Hog’s Redcliffe provides sweeping views of Moreton Bay from our shaded patio. We are directly south of the Redcliffe Jetty and a few minutes’ walk north of Suttons Beach. Our themed and fully licenced restaurant is open from 11am until late every day of the week! Luckily for the families of Redcliffe, kids eat free ALL day on Monday and Tuesday and from 5pm until 6pm Wednesday to Sunday. If you’re in the mood for lunch after some time in the sun, we provide high-quality $9.90 Lunches. If you have come to pig out, than by all means dig in! Our mains are generous and cooked to perfection, from the steaks to the pastas and salads. Come on in with your family for a fun evening out or for a full-blown Birthday celebration with your mates. Everyone is welcome at the Hog’s in Redcliffe! Come enjoy the best 18 hour slow cooked prime rib steak in the galaxy!